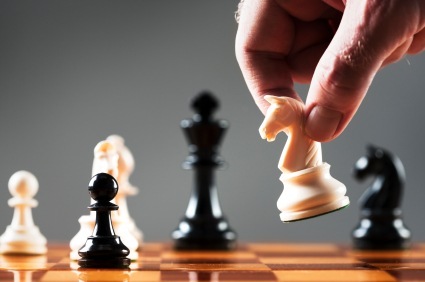 Remember my previous book review on "Invisible Chess Moves", written while I was watching the games in Wijk, during Tata Steel 2012? I am literally warming up my brain (freezing cold in Romania) by checking the beautiful examples hidden inside. I hope you didn't see them before and if you did, I am sure their beauty will steal at least a smile from you! And keep in mind: the moves are surprising. That's all I'm going to say. if the queen wouldn't have been in danger. How should White benefit from that? Yusupov didn't find it, but he still won the game. last move: Qe3?? The natural move played by Morozevich, centralizing the queen, is in fact a blunder and lost the game. If you were Black, how would you punish it? I am happy you tried! What if Black replies: 1...Bxb4? It will support the queen's retreat and refugee to the vital d2 square. That means: you still have to look. If you think you spent too much time on it and you want to know the solution, let me know. Or use an engine, but only if you thought way too long and you still cannot find it! Don't worry, it took me quite long as well. 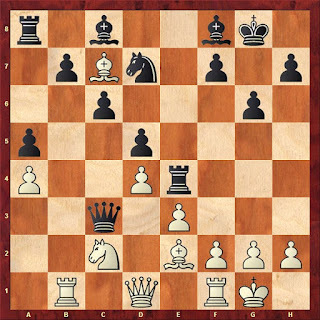 One minute after I posted I saw Bxb4; how about f3 to make room for the Bishop from c7? Yes! That's the idea! But the move order is not precise. With 1.f3 you give Black the option of sacrificing an exchange for initiative, with 1...Rxe3; and if WHite takes back 2.Nxe3 Qxe3+ 3.Kh1 Bg7, the d4 pawn is hanging, so Black is better. If you decline the exchange offer, Black still has the idea of giving it on the bishop from e2, eliberating thus the c4 square for its queen. The conclusion is: you should start with Bg3, when Black doesn't have the time to save the queen! I simply loved this example and I hope you too. It was surprising, I agree! 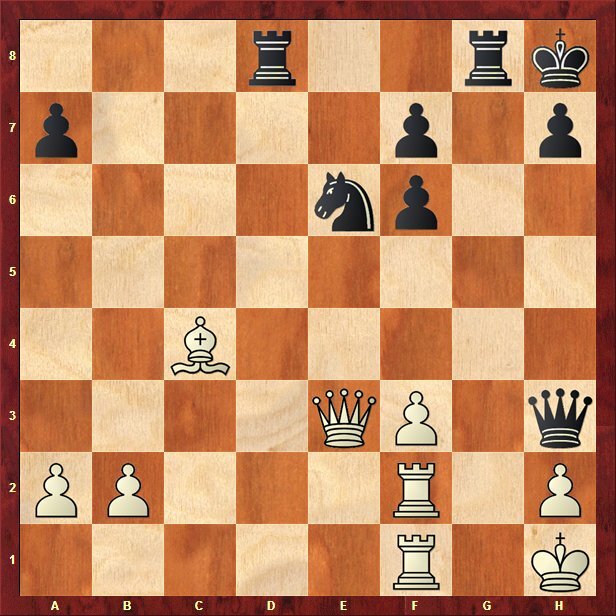 For the second diagram I looked at the actual game - is there a better move than Ng7? 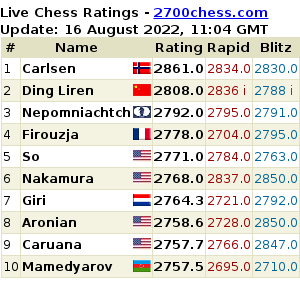 PS - I don't understand what is the benefit of playing an opponent rated 500 ELO points less than you; couldn't the arbiter use another system (I heard of "accelerated Swiss" before); I am usually the one with 500 points less :) so for me it is like a wasted day; for the better player it may affect her chances to make norms. Good luck during the tournament! For the second diagram Ng7 is the best, but not easy to see it I think. I like the backward knight move a lot! As for the pairing system, it depends on how many players there are etc. Here, with only 27 women participating, it's rather difficult to have the accelerated version. In any case, there are always surprises, lower rated players have nothing to lose, so why not trying their best?! cheap nike air jordan 4 shoes Ganaiganhen, nike air jordan 4 retro sale keeping everything inside yourself uncomfortable, but also play the guitar look sad, deserve. How you say ah, actor because I think people do not cheap nike air jordan 4 shoes cheap nike air jordan 4 shoes deserve good actress. cheap argued. Fart, he is a fool, like a person with a cheap nike air jordan 4 shoes good enough http://www.jamesgreenhow.co.uk of what, like a person should be brave confession. cheap nike free run shoes I really do not http://www.nikeplus.com.au understand how you think, is that you do not believe my cheap nike free run shoes boyfriend is still afraid of death yet. Is your boyfriend cheap nike free run shoes carrying you climb down, you do not touch it. As a man should protect his woman, as a woman you should trust cheap nike free run shoes your man, and he stubbornly nike free run australia persists. Stuart weitzman on sale platform about this square Discount stuart weitzman shoes toe shoe have you dominating Stuart weitzman boots 5050 any party, avenue, or restaurant Stuart weitzman canada you enter in. Get comfortable Stuart weitzman boots uk with stares and also attention, Stuart weitzman boots in this square bottom shoe, that Stuart weitzman discount is all you will probably be getting!